San Antonio Independent School District is paving a new way for students who are ill and physically unable to attend school to get back into the classroom. 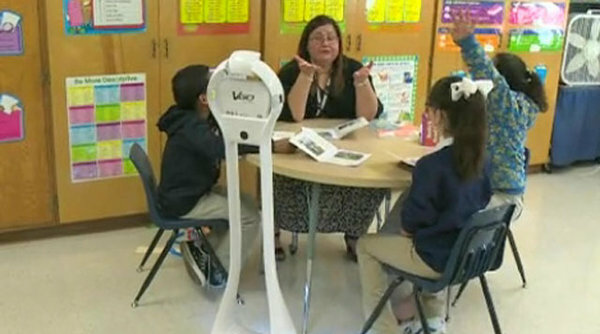 They are participating in a pilot program that allows a robot to take the student to class - The VGo is about 4 feet tall with a small screen on the top and a round base on the bottom that sits on four wheels. Miranda Garcia, a Foster Elementary School third-grader, is the first student in San Antonio to take the robot for a spin. Her favorite subjects are art and science. Trouble is, the third grader hasn't been able to attend school most of the year because of a grave illness - Lupus, which makes her immune system very fragile. Her mother says she tried to attend school for first and second grade, but got ill so often she spent most of her time at home. Since then, she's been home-schooled. This week, however, she’s back in class seeing all her friends-- as a robot she operates from home. ‘”I am a robot, that’s the fun thing,” says Miranda, “It’s like I am in a whole different dimension. It’s good and it helps me a lot when I am too sick to go to school. I feel a part of the class." "She's gotten better at her reading, which is amazing," said Isabel Garcia, Miranda’s mom. Part of the improvement can be contributed to the fact that Miranda can be in the class. She can see and interact with her friends and her teacher. 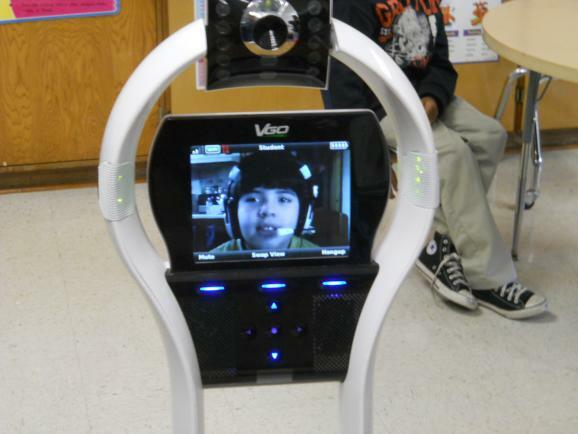 The VGo uses the internet to give her a real-time, in-class experience. And, the VGo robot not only puts Miranda in the room, but through the use of her home computer, she can roll herself across the room and even down the hall. "After having her in the room, it was really nice, because I got to see her face again and we hadn’t seen her in over a month," said Belinda De Luna, Miranda’s teacher. 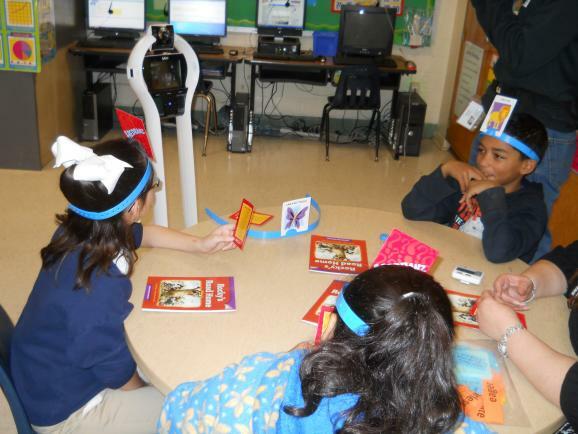 "It is really that camaraderie with her friends that is really remarkable," said Dr. Vangie Aguilera, senior executive director of SAISD's Special Education Department. One of the best thing about her new robot is that it lets her keep in touch with her best friend, Esther.“I actually do miss her, because she’s not here, but when she’s in a robot it makes me very happy for her,” says Esther Alvarado. Miranda’s mom says she has seen a big change in Miranda since she has gotten her robot and been back to school. “ She smiles more, she’s a lot happier,” Isabel Garcia said. San Antonio Independent School district is one of 30 schools in the country to start the robot pilot program. Currently, there are two other school districts in Texas (ESC6 and ESC9) that allow home-bound students to use robots.